Somjee U, Woods HA, Duell M, & Miller CW (2018). The hidden cost of sexually selected traits: the metabolic expense of maintaining a sexually selected weapon. Proceedings of the Royal Society of London (B). 20181685. DOI: 10.1098/rspb.2018.1685. Link. Press: EurekaAlert. Joseph PN, Emberts Z, Sasson DA, & Miller CW (2018). Males that drop a sexually-selected weapon grow larger testes. Evolution. 72: 113–122. DOI: 10.1111/evo.13387. PDF. Press: Disarmed, But Not Impotent, New Scientist. weapons and testes. Journal of Evolutionary Biology. 31: 57–65. DOI: 10.1111/jeb.13193. PDF. Press: Newswise, Southeast AGnet. Emberts Z, St. Mary CM, Herrington TJ, & Miller CW (2018). Males missing their sexually selected weapon have decreased fighting ability and mating success in a competitive environment. Behavioral Ecology and Sociobiology. 72: 81. https://doi.org/10.1007/s00265-018-2494-6. PDF. Allen PE, Dale AG, Diyaljee SI, Ector NJ, Petit-Bois D, Quinn JT, Ranieri AC, Sanchez JA, Smith HM, Tran DX, Winsor AM, and Miller CW. (2018). Long-term sperm storage in the cactus-feeding bug, Narnia femorata (Hemiptera: Coreidae). Annals of the Entomological Society of America. https://doi.org/10.1093/aesa/say017. PDF. Cattau CE, Fletcher RJ, Miller CW, Kimball RT, and Kitchens, WM (2018). Rapid morphological change of a top predator with the invasion of a novel prey. Nature Ecology and Evolution. DOI:10.1038/s41559-017-0378-1. PDF. Press: New York Times, CBC, ARS Technica. Emberts Z, Miller CW, Kiehl D, & St. Mary C (2017). Cut your losses: self-amputation of injured limbs increases survival. Behavioral Ecology. 28: 1047–1054. doi: 10.1093/beheco/arx063. ​PDF. Emberts Z, Miller CW, Li D, Hwang WS, & St. Mary CM (2017). Multiple male morphs in the leaf-footed bug Mictis longicornis (Hemiptera: Coreidae). Entomological Science. 20: 396–401. DOI: 10.1111/ens.12268. PDF. Nolen ZJ, Allen PE, & Miller CW (2017). 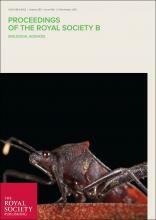 Seasonal resource value and male size influence male aggressive interactions in the leaf footed cactus bug, Narnia femorata. Behavioural Processes. 138: 1-6. DOI: 10.1016/j.beproc.2017.01.020. PDF. Cirino LA & Miller CW (2017). 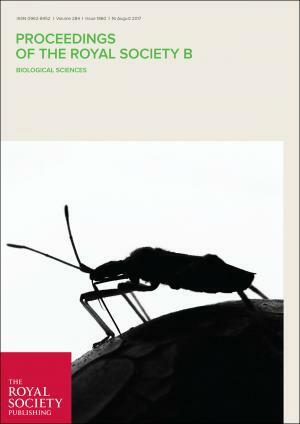 Seasonal effects on the population, morphology and reproductive behavior of Narnia femorata (Hemiptera: Coreidae). Insects. 8: 1-16. DOI:10.3390/insects8010013. PDF. Cirino LA, Emberts Z, Joseph PN, Allen PE, Lopatto D, & Miller CW (2017). Broadening the voice of science: promoting scientific communication in the undergraduate classroom. Ecology and Evolution. 7: 10124–10130. DOI: 10.1002/ece3.3501. PDF. Miller CW, McDonald G, & Moore AJ (2016). The tale of the shrinking weapon: seasonal changes in nutrition affect weapon size and sexual dimorphism, but not contemporary evolution. Journal of Evolutionary Biology. 29: 2266-2275. DOI: 10.1111/jeb.12954. ​PDF. McCullough E, Miller CW, and Emlen DE (2016). Why sexually-selected weapons are not ornaments. Trends in Ecology and Evolution. 31: 742-751. DOI: 10.1016/j.tree.2016.07.004. PDF. Emberts Z, St. Mary CM, & Miller CW (2016). Coreidae (Insecta: Hemiptera) Limb Loss and Autotomy. Annals of the Entomological Society of America, DOI: 10.1093/aesa/saw037. PDF. Somjee U, Allen PE, & Miller CW (2015). Different environments lead to a reversal in the expression of weapons and testes in the heliconia bug, Leptoscelis tricolor (Hemiptera: Coreidae). Biological Journal of the Linnean Society 115: 802-209. PDF. Hamel J, Nease SA, & Miller CW (2015). Male mate choice and female receptivity lead to reproductive interference. Behavioral Ecology and Sociobiology 69: 951-956. PDF. Halbeck DH, Bennett FD, & Miller CW (2012). The cactus moth, Cactoblastis cactorum. Featured Creatures. Link. Miller CW (2011). The heliconia bug, Leptoscelis tricolor. Featured Creatures. Link. Miller, CW (2008). Seasonal effects on offspring reproductive traits through maternal oviposition behavior. Miller CW & Moore AJ (2007). A potential resolution to the lek paradox through indirect genetic effects.